Sakura Kuma, Executive Director of YKIP, participated as a panelist in “2nd CWC Japan LNG & Gas Summit”, which was held in Tokyo on February 19-20, 2019. 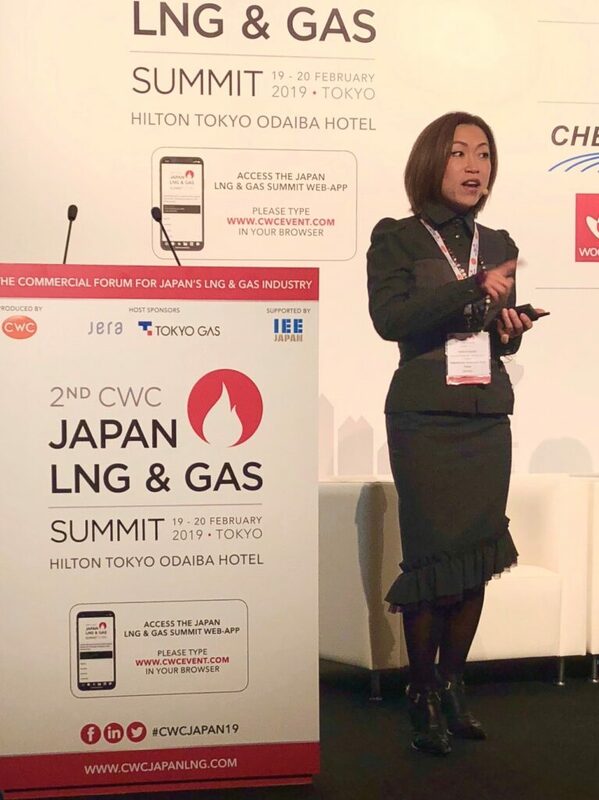 She introduced the LNG bunkering development at Port of Yokohama, the “Audit Tool”, which YKIP jointly developed as a member of IAPH working Group on LNG, as well as the investment case study comparing LNG as marine fuel with other alternative compliance solutions to which YKIP also contributed as a member of SEA/LNG. On the top of that, she also exchanged visions and opinions with other participants. Sakura Kuma presented the LNG bunkering development at Port of Yokohama on 20th Feb, 2019.